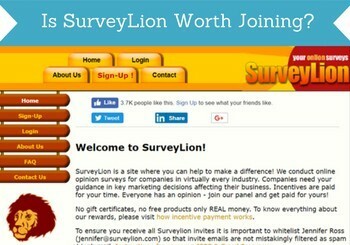 Is SurveyLion worth joining or a survey scam site to stay away from? I have tested the site thoroughly myself, and in this SurveyLion review, I will give you all the details about what you can expect from this survey site. After reading this review, you will know, if it is a site worth your time, or if you should rather spend your time on other sites. In case, you decide it is not the right site for you to join, I will also show you some great alternatives, you can join instead. What is SurveyLion and what does the site offer? SurveyLion is a consumer panel website, and is owned by Canadian Viewpoint, which is one of Canada’s largest opinion data collection companies. So SurveyLion has a very reputable company behind it, which is a good sign, and let me reveal right away that it is a legit site, and it is safe to join. However, that it is legit and safe to join does not necessarily mean it is worth your time, and in for many people SurveyLion might not be, as I will explain during this review. SurveyLion is a pure paid survey site, which means that it more or less only offers surveys as a way to earn. This is not necessarily a bad thing, and the sites that only offer this are usually very easy to use. That is also the case for SurveyLion – it is very easy to figure out how it works, so it is easy to get started. The design is a bit outdated, but that does not matter too much, as it is still easy to see where you need to go to take the available surveys. SurveyLion does however not offer a very big amount of surveys compared to similar sites. The ones it offers pay reasonably for your time, but as it does not offer more regular surveys, it will not be a site you can make a lot of money on compared to for example a site like Swagbucks or similar sites, where you have many daily opportunities to earn. When there is a new survey available, you will receive an email invitation. So you do not have to log in to the site to see, if there are any available surveys. This makes it easy, but again – do not expect to get too many invitations. SurveyLion actually has one extra way to make a little extra money in addition to taking paid surveys. You can invite your friends to join the platform, and if they join and become an active member, you will get a bonus. The bonus you get for this is pretty good. 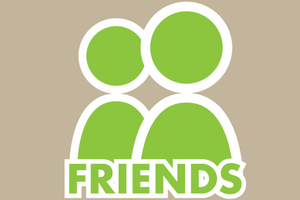 You will get $5 for each friend you invite that becomes an active member. Active is defined as someone that has completed at least one survey, or someone who has attempted to take at least 3 surveys, but ended up not qualifying for them. So this is not too difficult to live up to. However, it is not something you can earn a lot on. You can only invite people through email, which means you cannot share a link on for example a website or social media, which is possible in many other referral programs. Furthermore, you can only get paid for inviting people that lives in Canada. So this feature has a lot of limitations, but if you have a lot of friends in Canada, have their email address, and know they would like to become an active member, it can be a way to earn a little extra on SurveyLion. Now you know what ways you can earn money on SurveyLion, so let’s now look at how you can get your money. When you take a survey or invite a friend, you will get paid in dollars. This money will be accumulated in your SurveyLion account. One thing that is really great about SurveyLion is that there is no payout threshold, which means you can get paid already when you have taken your first survey, if you choose to. However, this is probably not a very good idea due to the payout method SurveyLion offers. 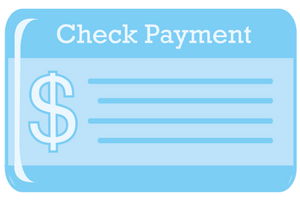 It only offers to pay by check, and it does not make much sense to get a check for only $1. SurveyLion only offers to pay by check. In general, I think it is very poor that you can only get paid by check. This is not a very flexible way to get paid from a survey site, and especially if you live in a country, where you do not have dollars as the currency, as you then also have to pay an exchange fee to the bank. For these reasons I prefer survey sites that pay through PayPal, as it is a lot more flexible, and you can get your money a lot faster that way. In my opinion it is a big minus that SurveyLion does not offer more flexible payout methods. But if you like getting paid by check, and if you live in a country where you have dollars, it might be a good way for you to get paid. To be honest, you should not expect to make a lot of money by being a member of SurveyLion. It is a legit site, so you can make a little extra cash, but compared to many other survey sites, it does not give very many opportunities. In general, taking surveys is not something that will make you rich, but if you find the right sites, it can make you a good amount of extra money on the side – but do not expect to make too much from SurveyLion. Later I will show you where to find the sites that give the best opportunities, if you want to give them a try instead. Being able to use a survey site on mobile devices is very important in my opinion. It makes it possible to take surveys whenever you have a little break, are waiting for the bus/train, or similar. SurveyLion is not very mobile friendly. I mentioned earlier that it has an outdated design, and that becomes very clear, if you try to use the site on a mobile phone. It is not optimized for mobile phones at all, and everything is very small and difficult to see and use. Being able to easily use a survey site on mobile phones can make it a lot easier to make money, and that SurveyLion is not optimized for mobile devices makes it a lot less user-friendly. Usually, it is quite simple and straightforward who can join a survey site. It is however a little confusing and unclear on SurveyLion. On the website it says you can join no matter where in the world you live as long as you are 16 years old. When you try to register, there is also a long list of countries you can choose, so it looks like anybody can join. However, if you try to join from a country that is not Canada, you will get a message saying that only people living in Canada can join SurveyLion. This is very confusing and contradictory to the rest of the info on the website. You can however still choose Canada as your country and then join no matter where you live, but it does not make much sense, as it could lead to problems once you request to have a check with your rewards. So theoretically anybody that is 16 years old can join SurveyLion, but practically it only makes sense if you live in Canada. But not matter whether you live in Canada or not, there are sites that give a lot more opportunities, which we will get to next. 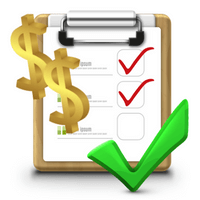 SurveyLion is definitely a legit survey site, and you can earn some extra money there. But let’s sum up the pros and cons to give you a better overview, before you decide if it is the right side for you to join or not. I like SurveyLion has no minimum payout and the rewards are pretty good in relation to the time spent on each survey. However, that does not really matter in my opinion, as the overall user-experience is poor, you can only get paid by check, and there is a very limited amount of opportunities. It might be a site worth joining as an extra platform, if you live in Canada, but overall it is not a survey site I think is worth the time. There are many survey sites with a lot more and better opportunities, and they also have a lot better payout options. You can see a list of the best survey opportunities by clicking the link below. If you have any comments, questions, or have any experiences with SurveyLion yourself you would like to share, feel free to leave a comment below. SurveyLion is a legit survey site, and it gives decent rewards for the time spent. 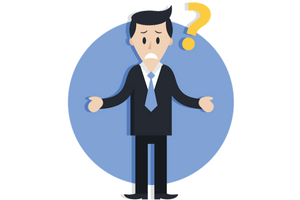 It does however not give very many opportunities to earn, it is confusing who can actually join, and it does not offer any flexible payout methods. It can be a site that can earn you a little extra, but mainly if you live in Canada. No matter where you live, there are however sites with a lot better opportunities. I will check out your list of survey sites that pay by check. I agree, there are not many opportunities with SurveyLion. Hope you find some sites there you will like on that list Ursula. If you like getting paid electronically, you can also check out the list of PayPal survey sites. And let me know if you have any questions about any of the sites or any feedback for any of them. I requested a payment back in August from Surveylion in the amount of $20, which I still haven’t received. I contacted their representative twice to no avail. She has not responded to both emails. This seems like a scam. Thanks for sharing your experience and warning others Aliza. This definitely does not sound good. Sorry to hear this. Hope you have instead found other sites that are better. Great to hear Ursula. If you like getting paid by check, I have made a list of survey sites that pay by check you can check out. Several of them offers quite a lot more opportunities than SurveyLion. I heard about the company before, and I guess it has been around for a while. But as I understand it will not be a full time income. I wonder something. The banks in Europe can make a trouble when I bring a cheque. is there any alternative way for a guy, who lives in Europe? In my opinion it is definitely not worth the trouble to join Survey Lion and get paid by check, if you live in Europe. The fees for that would be too high, and it would take too long. Personally, I prefer survey sites that pay through PayPal, as it is a very fast way to get paid. I have made a list of the best PayPal survey sites you can check out for great alternatives. I have been getting good feedback from many online money enthusiasts about this Survey Lion program, and I thought I should know more about it. It is great and I could have joined if they provided PayPal payment method since I have been having many issues with my bank when it comes to check. Do you know any similar programs with PayPal option? Great to hear about your experiences and what you have heard about SurveyLion – thanks for sharing. I agree that having PayPal as a payment method would be a lot better. Luckily there are many sites that offer this. I have made a list of the best survey sites that pay through PayPal, and you can check that out to seem some great options.